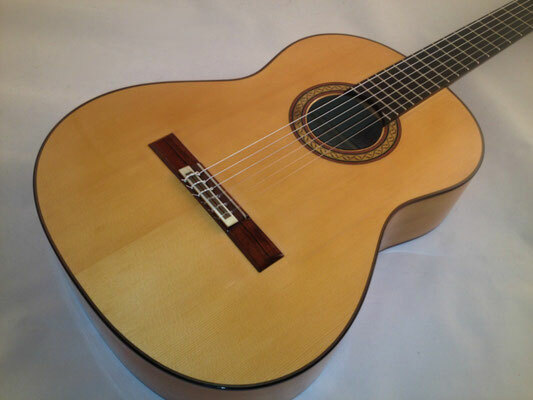 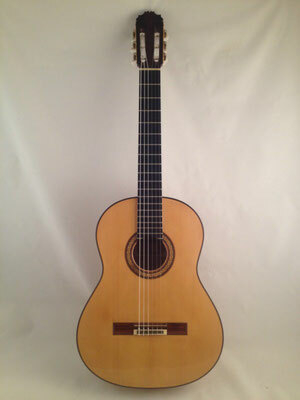 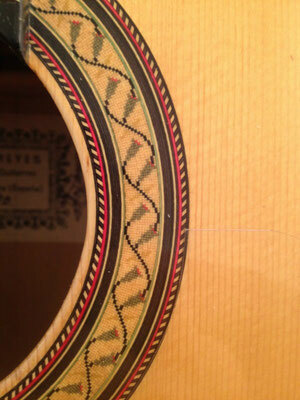 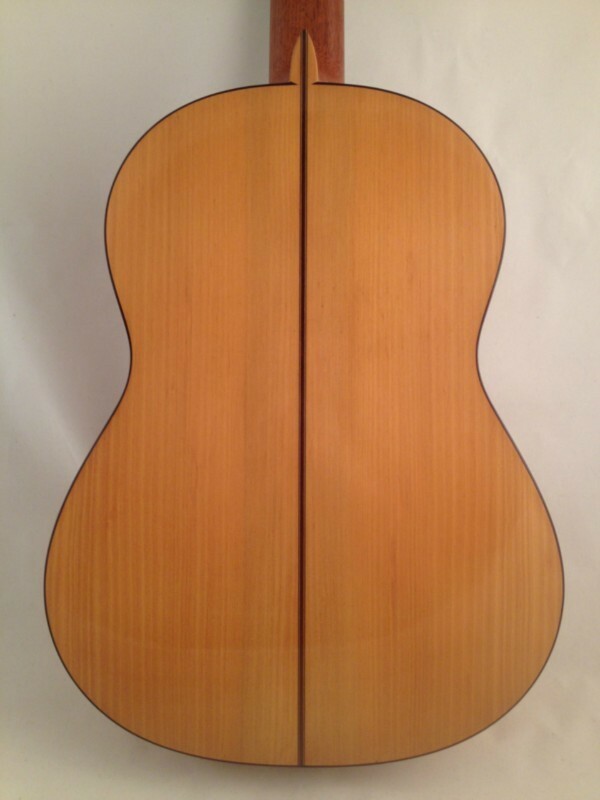 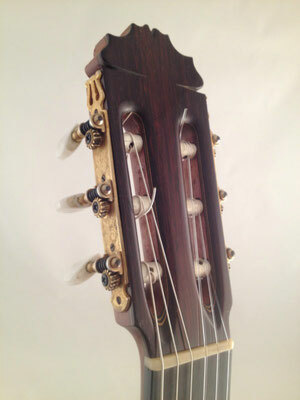 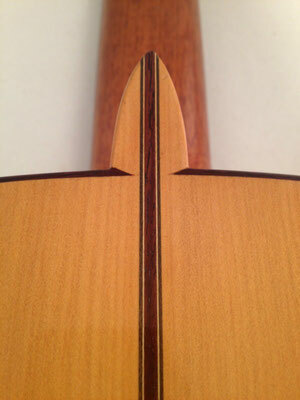 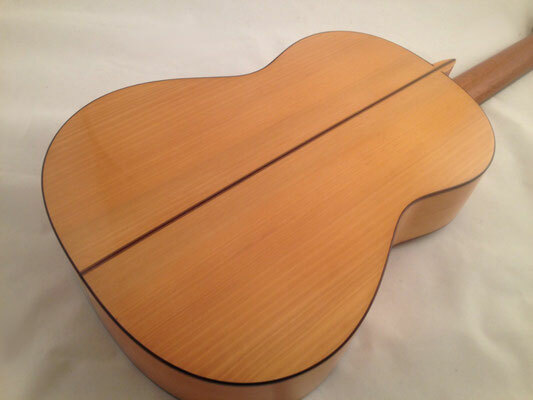 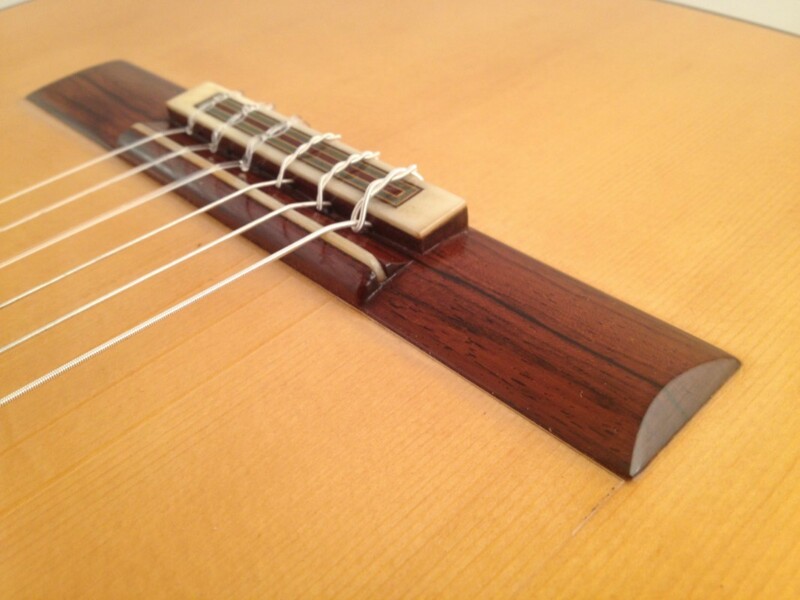 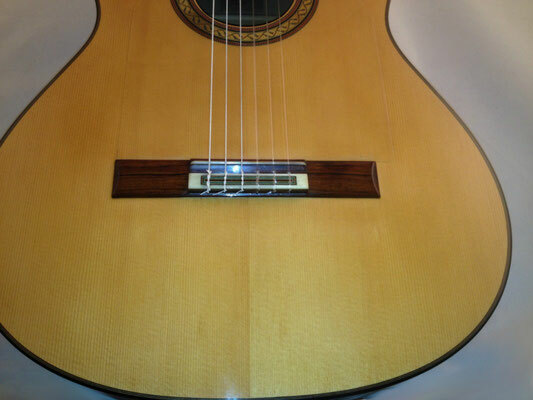 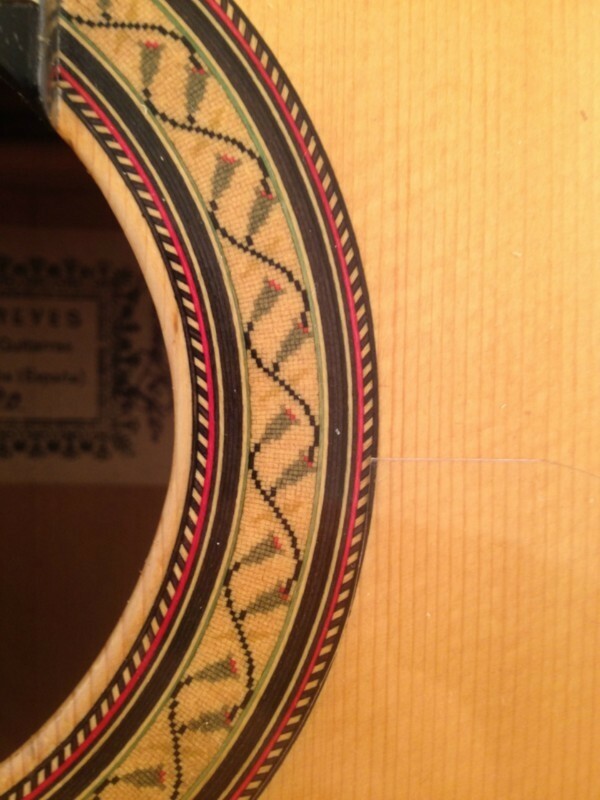 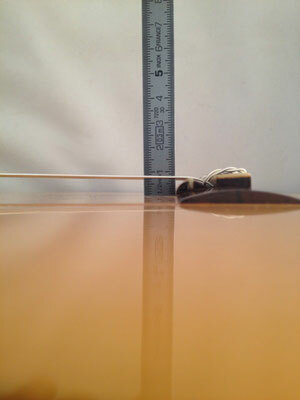 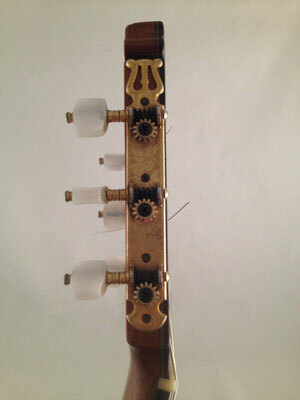 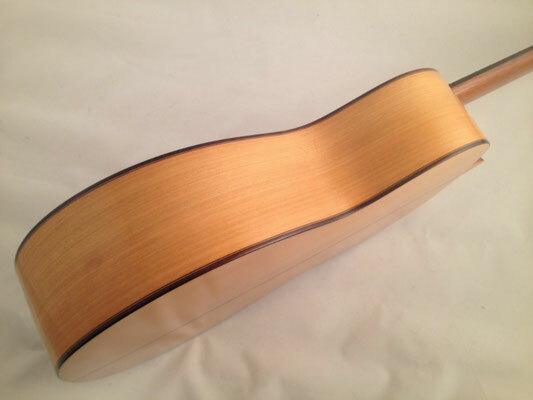 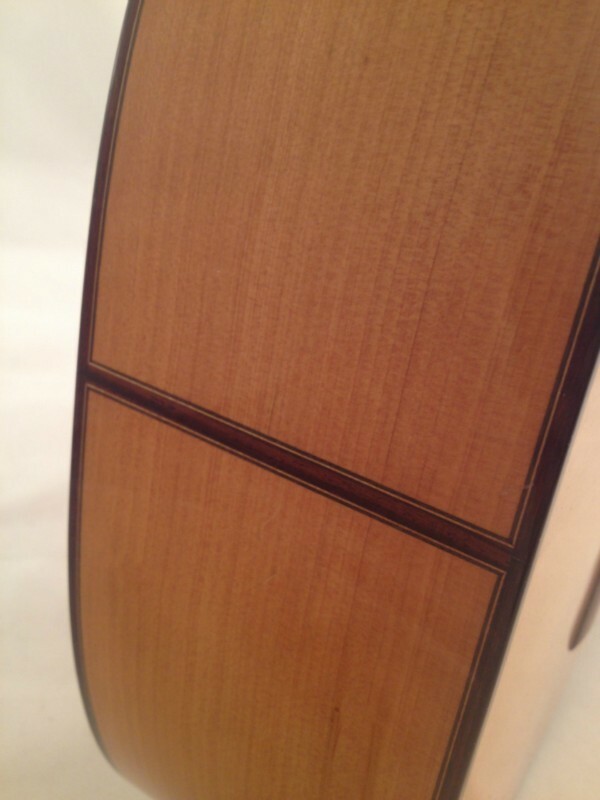 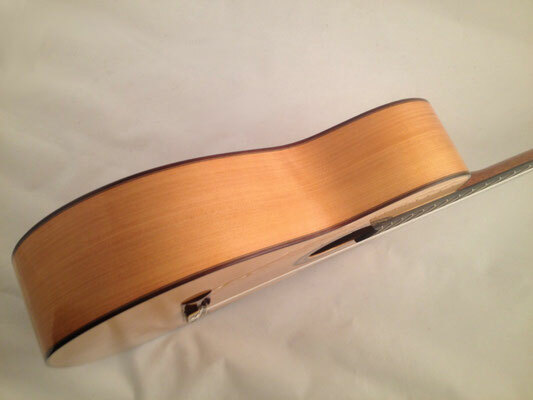 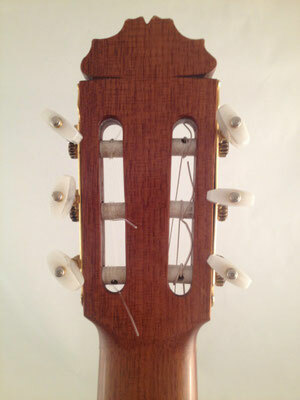 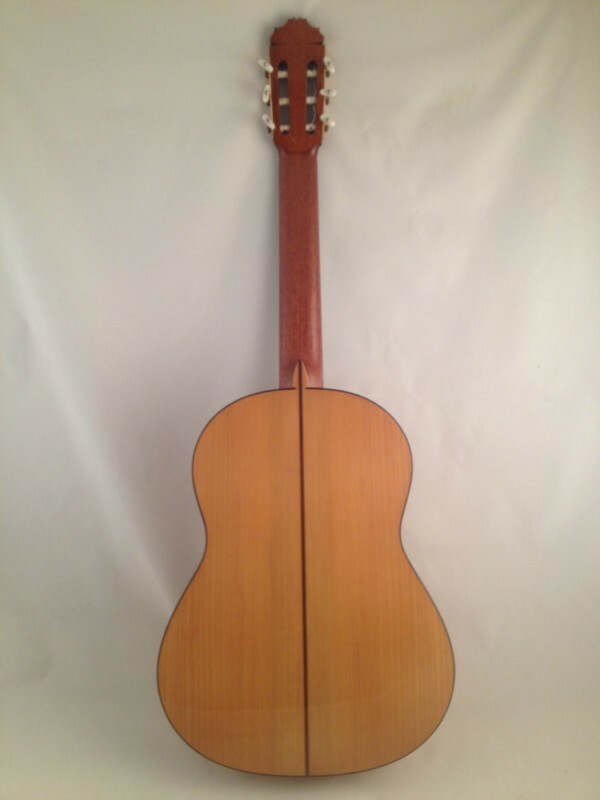 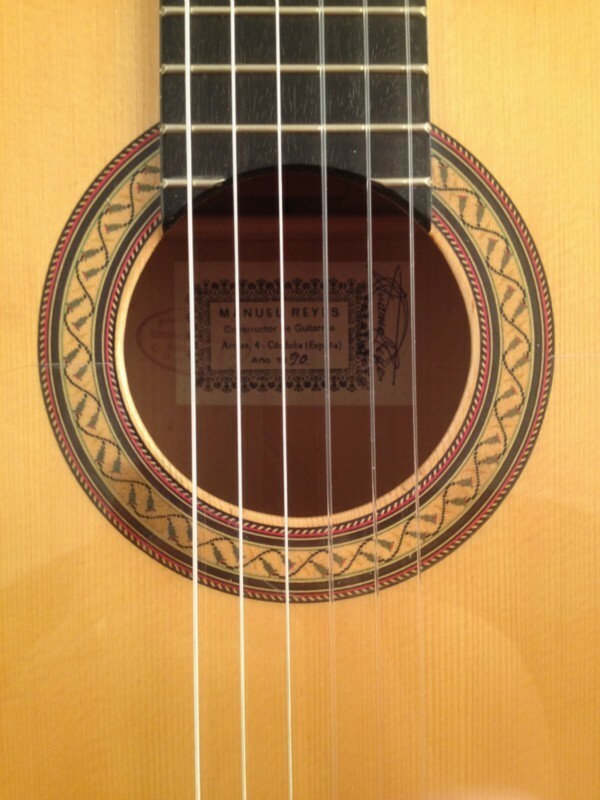 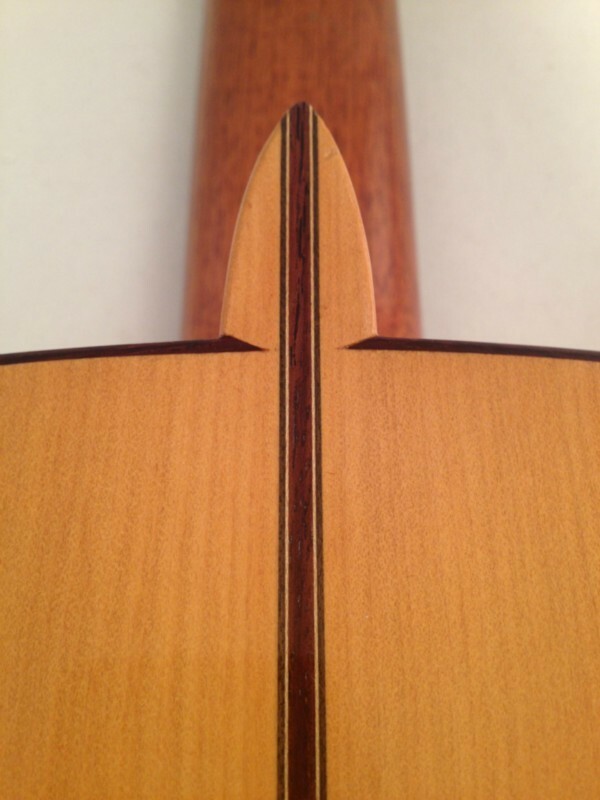 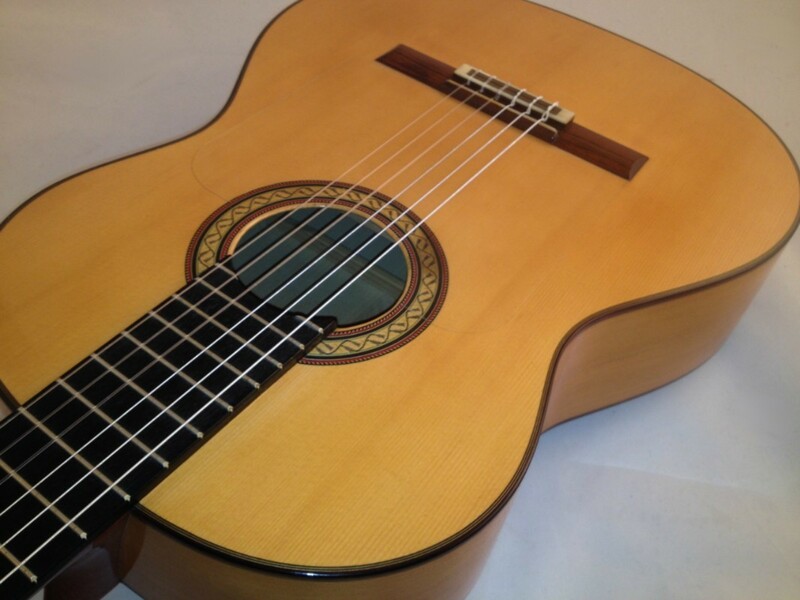 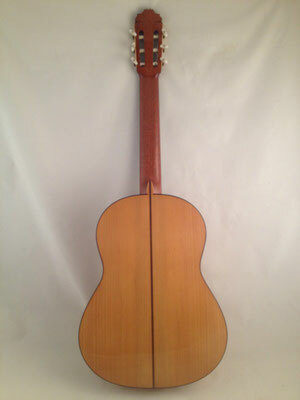 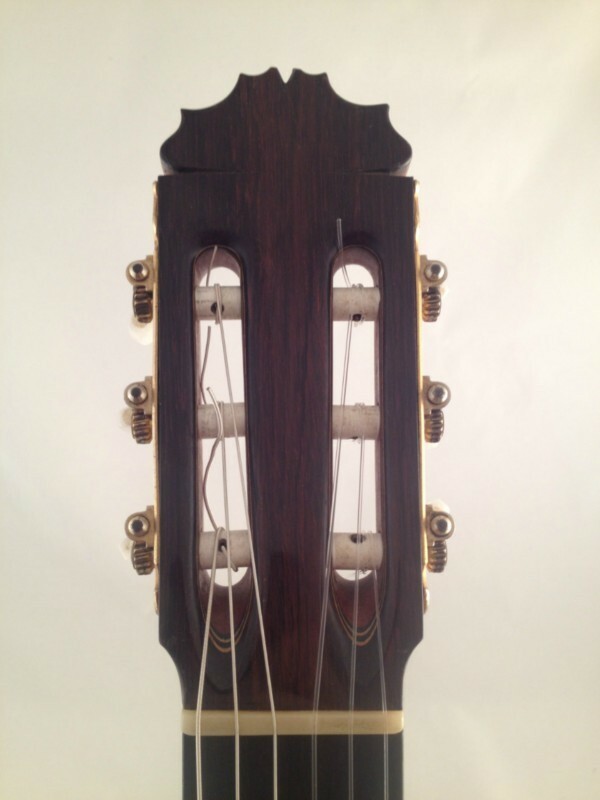 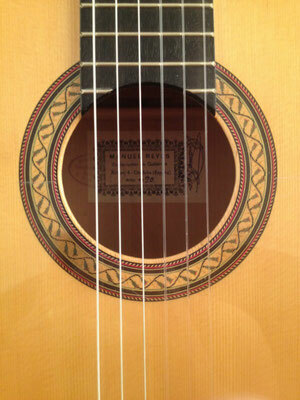 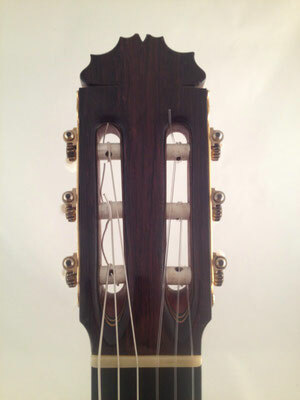 Manuel Reyes 1990 cypress flamenco guitar. 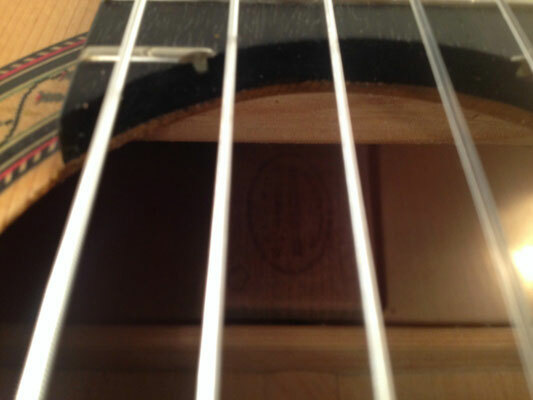 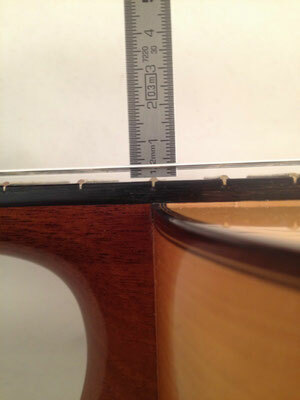 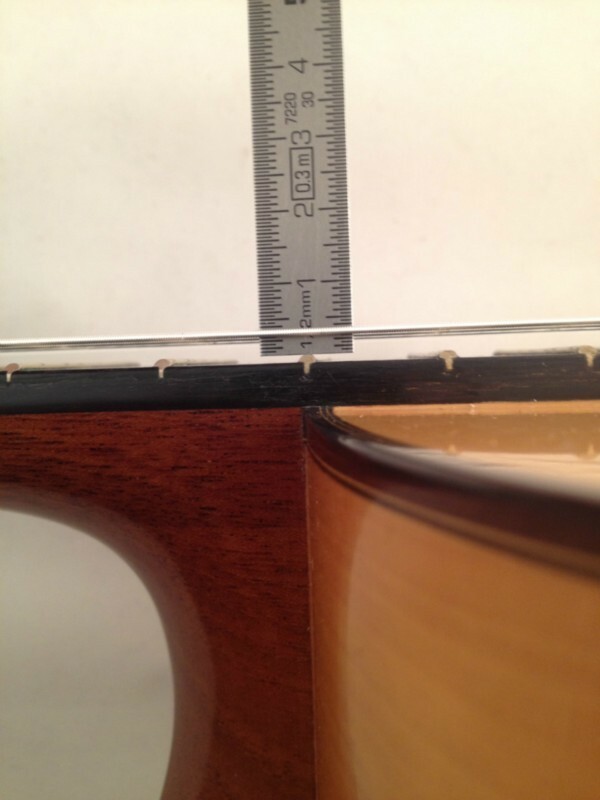 One tiny fissure in the side. Top has been slightly repolished. 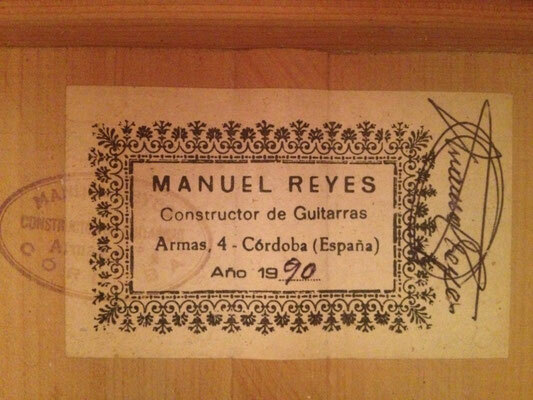 Manuel Reyes 1990 Zypressen Flamenco Gitarre. 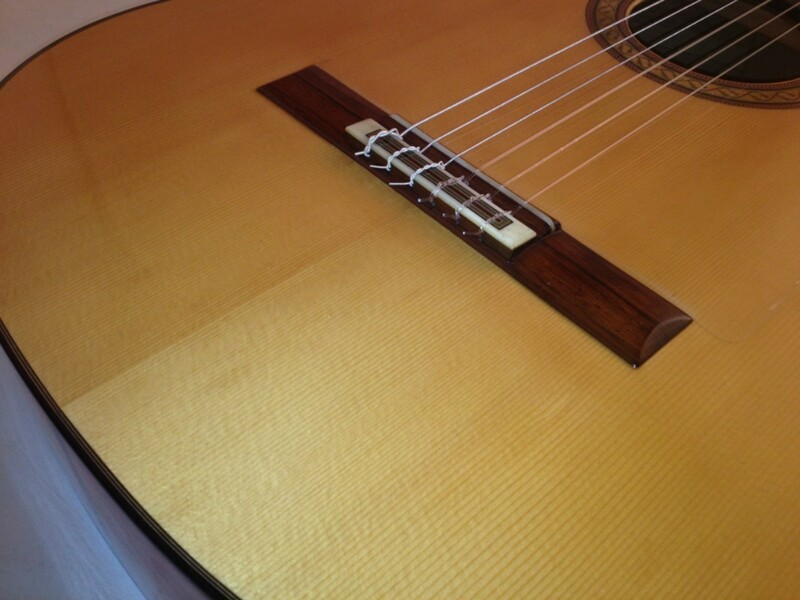 Eine winzige Fissur in der Zarge. 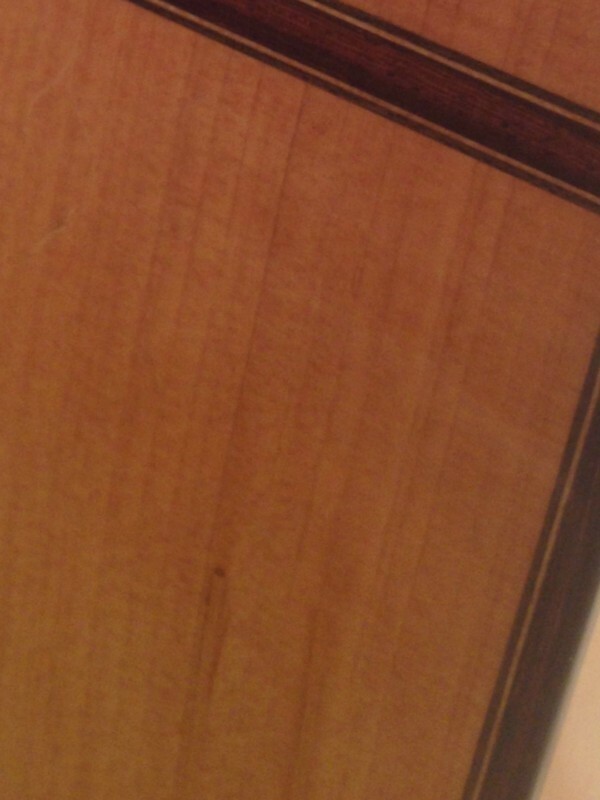 Decke wurde mit Schellack nachpoliert.